Liberty was conceived at a dinner party in 1865. With the Civil War ending, the chairman of the French anti-slavery society, Edouard Laboulaye, suggested that France present a monument to liberty to the United States to commemorate its 100th year in 1876. In 1867, French sculptor Frederic Auguste Bartholdi had an idea for a monument for the opening of the Suez Canal in 1869m but it was not well received. The monument was a large statue of a robed woman holding a torch. Bartholdi started making sketches of the monument for New York in 1870, five years before construction began and 15 years before the completed statue arrived in New York. President Ulysses S. Grant accepts France’s formal request to place the Statue of Liberty on Bedloe’s Island in 1875 – he died nine months before the completed monument arrived in New York. Construction of the statue began in France in 1876 but wasn’t completed until 1884. 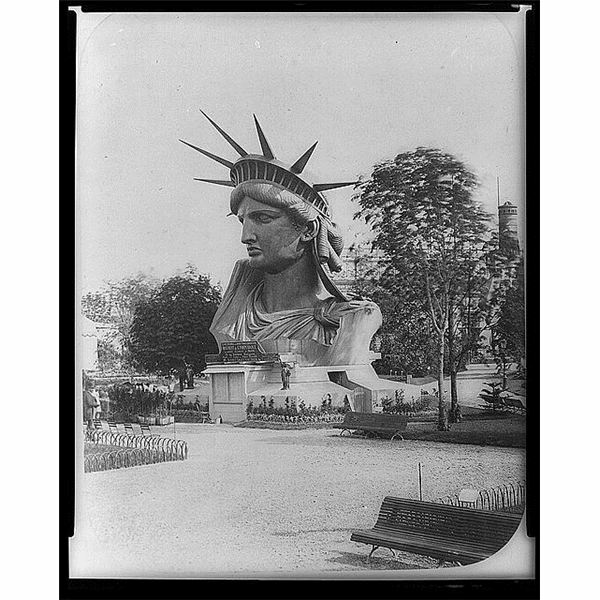 The statue’s head and shoulders were displayed at the Paris Universal Exposition in 1876. French engineer, Gustave Eiffel, designed an iron frame skeleton to support the statue’s copper sheets. Eiffel later designed a new monument – the Eiffel Tower – for the 1889 Paris Exposition. Meaning that the history of the Eiffel Tower and that of the Statue of Liberty are intertwined. The statue is engineered to withstand strong winds, moving three inches in 50 mile-per-hour winds – the torch moves five inches. Imagine if the Statue of Liberty was in Boston? What about San Francisco, Cleveland or Philadelphia? That might have happened if had not been for Joseph Pulitzer. The finished statue was actually 350 individual pieces that arrived in New York in 214 crates. New York lost enthusiasm for finishing the statue's pedestal and Governor Grover Cleveland refused to approve the $50,000 needed to complete the project. Other cities, including Cleveland, Philadelphia, Boston and Philadelphia offered to pay for the completion of the pedestal if the statue was placed in their city. Joseph Pulitzer, owner and editor of "The New York World", scolded Americans for failing to help finance the project and encouraged everyone to view the statue as a gift for the nation, not simply for New Yorkers. Enthusiasm renewed and with the help of fundraisers, personal donations and subscriptions to Pulitzer's newspaper, $50,000 was raised in two months – even children donated money! The ship that transported the statue nearly sank in a storm at sea, before it arrived at Bedloe's Island in November 1885. Everyone knows that the Statue of Liberty is big, but these cool facts help put the size of Lady Liberty in perspective. The Statue of Liberty, from the bottom of the foundation to the tip of the torch, is 305 feet, six inches tall. That is six inches longer than the distance between home plate and the Green Monster at Fenway Park in Boston. The statue's face is 8 feet tall. That is over a foot taller than basketball star Lebron James. The total weight of the Statue of Liberty is 225 tons, which is the equivalent of about 37 fully grown elephants. The Statue of Liberty is struck by lightning several times a year. In February 1912, Frederick R. Law successfully parachuted off the viewing platform of the statue, into the harbor. It is now illegal to jump from the Statue of Liberty. 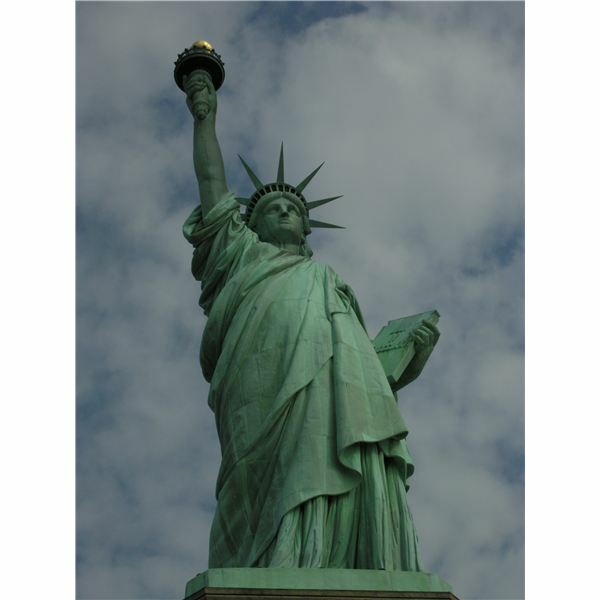 If you are one of the three million people who visits Liberty Island each year, your visit will be even better knowing some of the cool facts about the Statue of Liberty. This generous gift from France has been an American icon since 1886, standing as a symbol of hope and freedom.